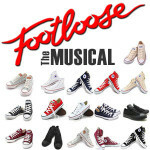 Sun Valley High School Theater > All Articles > Footloose > SVHS Theater Presents…..Footloose for 2017! SVHS Theater Presents…..Footloose for 2017! Get your dancing shoes ready because Sun Valley High School will be rockin’ the house next year with their production of Footloose The Musical! Based on the 1984 film, this energetic production celebrates youth and the drive to fight for what you love. It opened on Broadway in 1998 and has since toured in several countries and all across the US. Stay tuned as we offer more information about this popular musical for the Sun Valley stage Spring 2017!